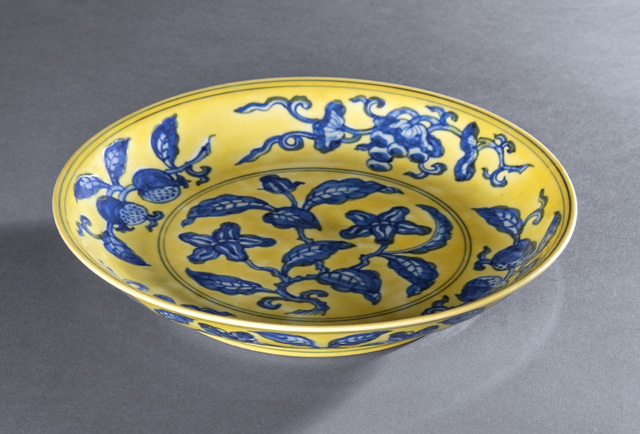 With shallow rounded sides, freely painted in shaded tones of cobalt blue reserved on a rich yellow ground, the interior with a central medallion depicting a single leafy branch bearing two five-petalled gardenia blooms and a bud emerging from the top, encircled on the cavetto by fruiting branches of pomegranate, grape, peach and a beribboned lotus bouquet, all between double line borders, the underside with a continuous scroll of blooming peonies between double lines at the rim and foot, the recessed base with a six-character reign mark within a double circle with three very small drilled hole marks at the base and the side of the stand - One short restored hairline to rim and another small restored section to rim, two small drilled marks to base and stand, minor wear to yellow glaze. 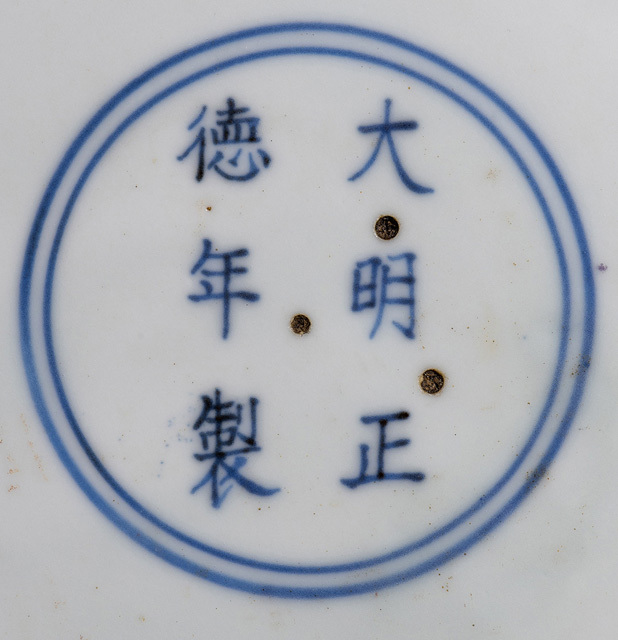 Note: Zhengde dishes of this design are known with both four and six-character reign marks. An example of each in the British Museum, London, is published in Jessica Harrison-Hall, Ming Ceramics in the British Museum, London, 2001, pls. 8:23 and 8:24. 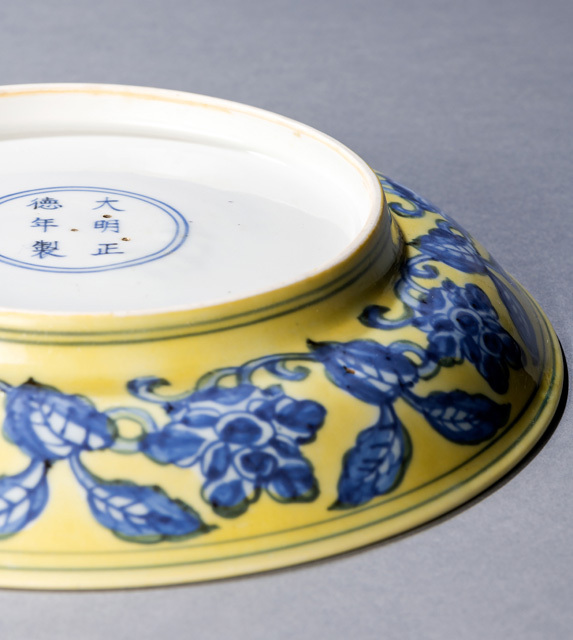 Another closely related dish with a six-character mark in the Shanghai Museum is illustrated in Mingdai guanyao ciqi, Shanghai, 2007, pl. 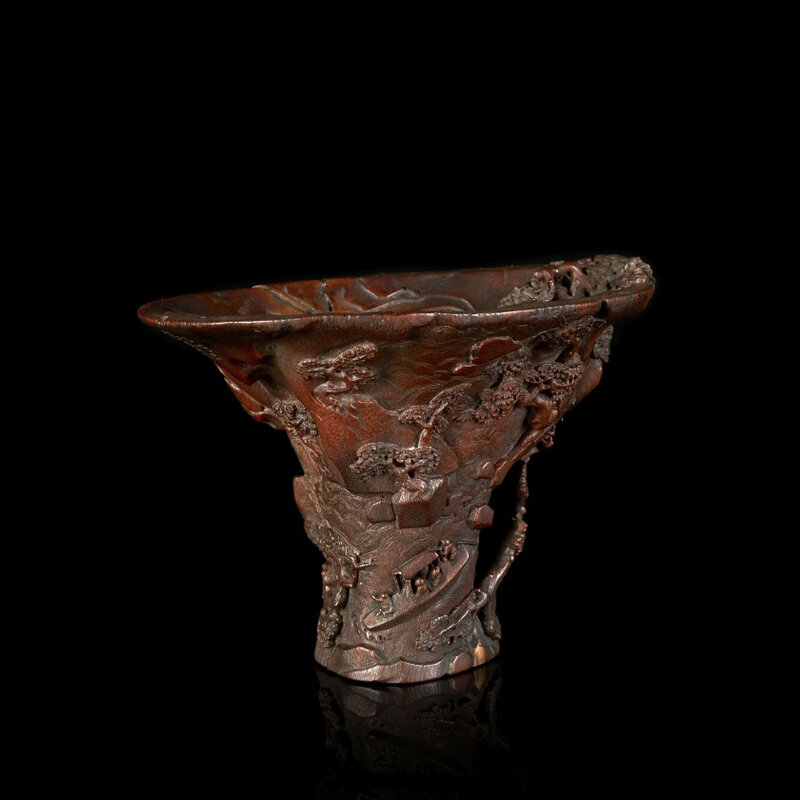 1-41; one with a four-character mark in the Palace Museum, Beijing, is included in The Complete Collection of Treasures of the Palace Museum. 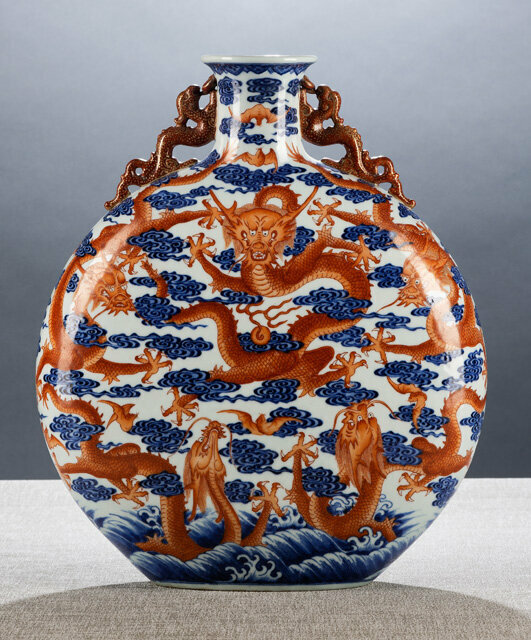 Blue and White Porcelain with Underglazed Red, vol. 2, Shanghai, 2000, pl. 233, together with Chenghua and Hongzhi prototypes, pls. 230 and 231. While the design generally remained similar, on Zhengde versions the fruit and flower sprays can be differently distributed around the central motif. 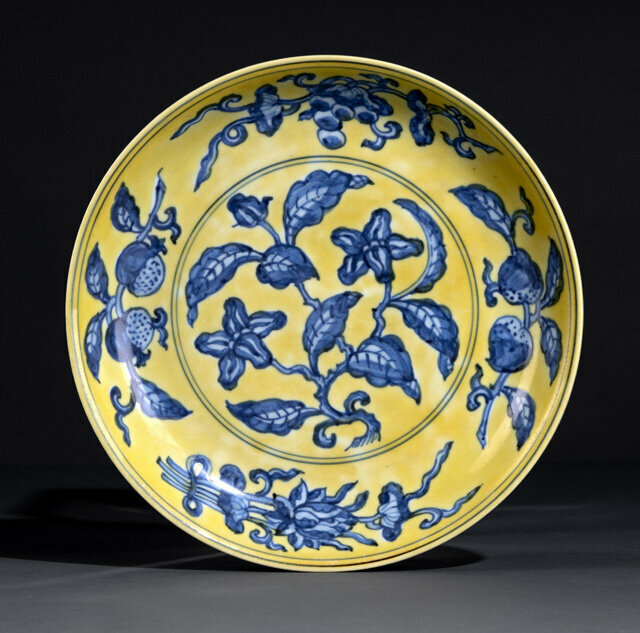 A dish of the same size and pattern in the collection of Peter and Irene Scheinman, was included in the exhibition, Born of Earth and Fire, Chinese Ceramics from the Scheinman Collection, The Baltimore Museum of Art, 1992, Catalogue no. 81.